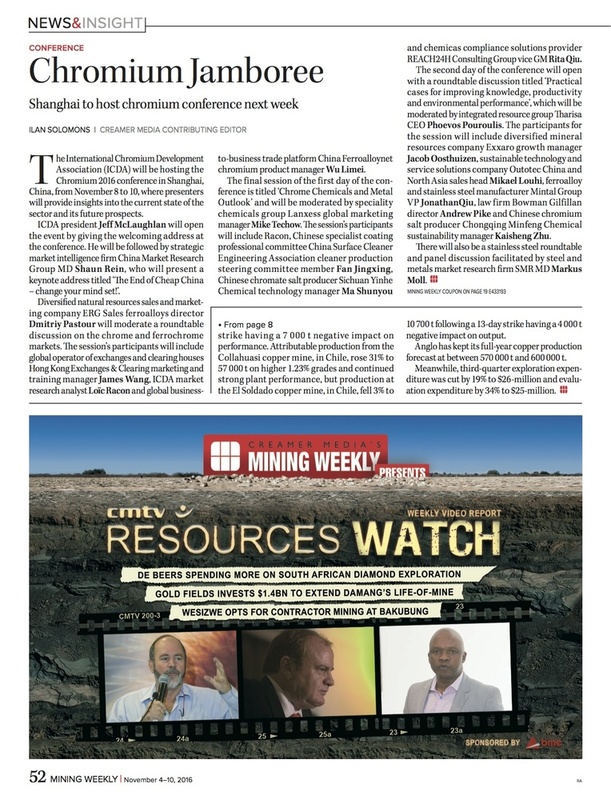 The International Chromium Development Association (ICDA) will be hosting the Chromium 2016 conference in Shanghai, China, from November 8 to 10, where presenters will provide insights into the current state of the sector and its future prospects. ICDA president Jeff McLaughlan will open the event by giving the welcoming address at the conference. He will be followed by strategic market intelligence firm China Market Research Group MD Shaun Rein, who w ill present a keynote address titled ‘The End of Cheap China – change your mind set!’.